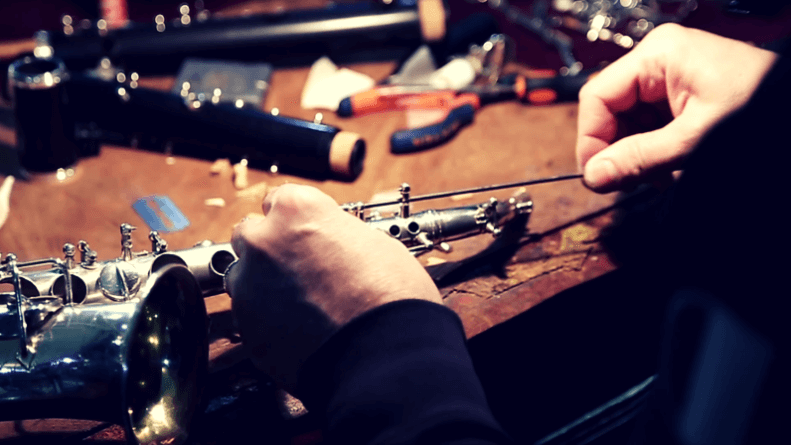 One of the things that make your trumpet last longer than expected is proper maintenance. So you need to know how to clean a trumpet. It is imperative that you clean your horn almost trice in a week. Before you start cleaning the trumpet, you need to make available some important things. You are going to make use of the followings wire snake brush, petroleum jelly, mouthpiece brush, synthetic valve oil, polishing cloth, towel, and gloves. All these are needed if you want to clean and polish the trumpet. Steps To Take How To Clean A Trumpet? It appears to be most trumpet players are more concerned about their practice and training with less attention given to the instrument. Washing the trumpet is one of the acceptable ways to take good care of the trumpet. By such action, you are recurring the chances of dirt and debris development in the instrument which can not only damage the trumpet but as well lead to lung disease for whosoever that is playing the trumpet. The Question is How Often Should You Clean Your Trumpet? You should answer the question the same way you will respond to how often you should eat. You must endeavor to constantly clean the trumpet and keep it clean. You can use different means to clean which is our center of focus in this article. Does Failure To Clean The Trumpet Has Any Risk Factor? Of course, it thus has a risk factor and not only to the instrument. If you leave the trumpet for a longer period, you have given room for bacteria to turn it to their home. Once a player inhales the air, there is a tendency for the player to inhale mold and bacteria from debris. That alone can lead to lung disease is strict attention is not in place. It is the reason you should never use any other players instrument without being too sure it is clean and well serviced. There are no better ways to eliminate the risk of getting lung disease through trumpet rather than cleaning it regularly. Such occurrences can only come to place if one fails to constantly clean the trumpet. Before we move to ways to clean the trumpet, let’s quickly take you through how you should clean the trumpet. 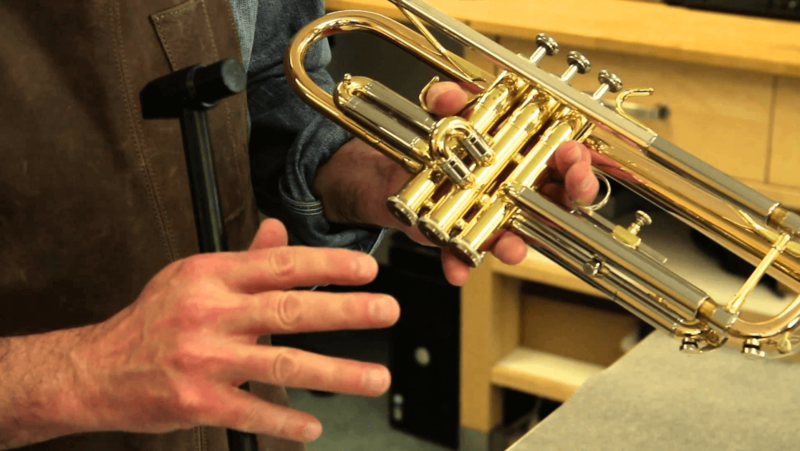 How Often Should You Clean Your Trumpet? Cleaning trumpet has to be with the parts and there are ways you should clean each part of the trumpet. The lead pipe of the trumpet demands more attention than every other pipe in the trumpet. More time should be given to cleaning this part and it doesn’t take a longer period to get it cleaned. You should not spend much time on the outside as you can just make use of polishing cloth or any neat surface cloth to clean the trumpet to keep it clean and neat. The rest of the tubing must be touched at least twice a week to keep the trumpet in good condition for a longer period. How to Clean The Trumpet Without Having a Cleaning Kit? Most players have to hide under the fact that they don’t have a cleaning kit and the fail to take good care of their trumpet. It is a very bad thing to do. There are also ways you can clean your trumpet without any cleaning kit. The only possible means is by shaking the trumpet while you have warm water running through the pipes and slides. That will help you get some dirt out of the instrument and reduce the chances of debris development. The first step to cleaning the trumpet is to disassemble it and place every part on a towel so that the body of the trumpet doesn’t get scratched through contact with the placement location. Carefully disassemble the parts that can be disassembled such as the mouthpiece, the 1st valve piston, the 2nd valve piston, the 3rd valve piston, the 1st valve slide, the 2nd valve slide, the 3rd valve slide, the tuning slide, three valve caps, and the horn. To be on a safer side if you don’t have any technical knowledge of the trumpet, don’t unscrew some of the sensitive areas. Choose the tuning side of the trumpet and ensure you run warm water through it. Ensure you apply several drops of the warm water down the bore on each side. It’s the turn of the wire snake brush to work. Take the brush and use it to scrub the bore. You shouldn’t try to push or thrust the brush all through the bore. Doing that will damage the brush, and I bet you wouldn’t want that to happen. Now that you have made use of the brush to wash the inside of the bore, you can go ahead to rinse again with warm water and ensure it is neat with the look of the water. Take your soap and brush to wash the exterior part and after that has been done, place the tuning slide on the towel to dry. Pick the first valve slide of the trumpet and run it through the lukewarm water. Apply several drops of soap to it as you run it through the water. The soap will help to soften some residue to make the application of brush on it easier. Pick the wire snake to scrub the bore of the valve and do it gently. After you have done that, wash the exterior part of the valve, rinse under warm water and keep in a safe place. For the second and the third valves, you need to repeat the process for the first. Run the bore under warm water, brush with wire snake and apply little soap, wash the exterior part and keep clean on the towel. After you are through with the valves, the next thing is to clean the valve head. Run water through the head with a little drop of soap. Scrub every part of the inside with a wire snake, and this must be done effectively to remove the oil residue. The oil residue is a result of continuous greasing, and once you find out it has been removed, you should rinse the cap under running water to get rid of the soap. It is the turn of the big gong. Place the horn under running water and leave for some minutes. After that, you can pick it up and shake to ensure that some particles inside get off the areas they have been clogged too. Apply soap and wash every part with a brush to ensure it is clean and free of residue. After that, you have to rinse under warm water and ensure every part of it is dry. Place on the towel to towel dry it before the final step of cleaning. If the trumpet isn’t used by you alone, it is important that you clean this part of the trumpet often even if you don’t have time to clean the rest. Just place under warm water and then use your wire snake brush on it ensuring that it comes out from the other end. Apply soap and after that rinse under water to keep clean. Now that you are through with the washing processes, the next thing for you is to assemble all the parts you disassemble, and tests run the trumpet. After you have assembled all parts, makes sure you polish the trumpet with the oil and lubricate the valve with the valve oil before you start playing it. If you have a trumpet and you want to learn the right way to clean and polish your trumpet, you should follow the process in this article to do that. You can as well watch some YouTube videos on how to clean a trumpet. We as well have a video on this post for you to wash. Happy reading and enjoy watching.